Gov. Andrew Cuomo took to the stage at his third inauguration to express his horror at President Trump, which is pretty funny when you think about it: The politician Trump most resembles is . . . Andrew Cuomo. Cuomo attacked Trump on New Year’s Day for sowing discord. “America’s only threat is from within,” he said. “It is the growing division amongst us.” But wasn’t it Cuomo who, in 2015, said that pro-life and pro-gun conservatives were ­“extreme” and “have no place in the state of New York”? He is their governor too. 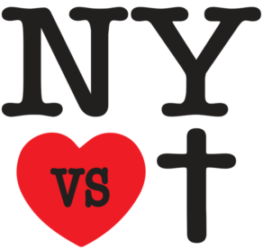 Thirty-two percent of New Yorkers identify as pro-life. A majority of upstate voters in 2015 opposed new gun-control ­restrictions. Do these people “have no place in the state of New York”? And just who in this case was responsible for widening the divisions between us but this state’s governor? Doesn’t this make it sound like Trump was taking lessons in how to ­divide us from . . . Cuomo? You can read the full piece at the New York Post.